Mutual funds will be prevented from allocating capital gains or income to their redeeming unitholders if fully taxable ordinary income has been re-characterized as a capital gain or tax has been inappropriately deferred. Specifically the “allocation to redeemers methodology” is being replaced effective for tax years of mutual fund trusts beginning after budget day. A new rule will deny the trust, in certain circumstances, a deduction for the portion of the allocation made to a unitholder on redemption of a unit that is greater than the capital gain that would otherwise have been realized by the unitholder on redemption of the units. Also, a mutual fund will no longer be allowed a deduction in respect of an allocation if the allocation is ordinary income and the unitholders redemption proceeds are reduced by the allocation. Finally, a new qualification is added to the commercial exception to character conversion transactions that makes the exception unavailable if it can reasonably be considered that one of the main purposes of the series of transactions is for a taxpayer to convert the amount paid for a security into a capital gain. 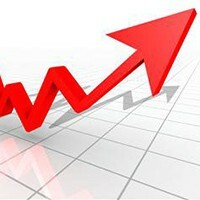 Melissa Chin of advisor.ca, did an excellent job of explaining the potential effects in her article of April 2. The issue is one of imprecise allocation of capital gains specific to a unitholder who redeems assets from an ETF or mutual fund. Unfortunately precision in determining adjusted cost bases to arrive at the precision the Finance Department is demanding is almost impossible, especially in the case of ETFs. With an entire generation of Canadians taking a hit to their investment and saving plans, it falls to financial professionals to help their clients understand the effect of these new provisions on their retirement savings, so they can recover and re-strategize. This is especially important at a time when many retirees and pre-retirees already struggle to envision and plan for retirement due to a number of financial and lifestyle factors, per the results of our March poll. 1. Actively traded and more liquid mutual funds will likely have the highest distributions of capital gains to unitholders at the end of the year. 2. Smaller mutual funds that are less active may have more modest returns, and they will likely also result in fewer capital gains distributions to unitholders at the end of the year. The Budget Bill (C-97) was introduced and given first reading this week. Now is the time for industry to lobby for the rights of investors. Knowledge Bureau Report will continue to bring you news on this matter as more clarity is provided. Additional educational resources: Tax Strategies for Investors offers a comprehensive look at how to earn investment income tax efficiently. Take a free trial today and register by June 15. 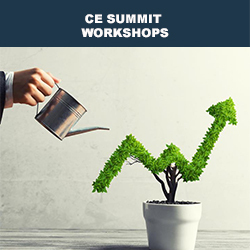 For a deepr dive into the 2019 Federal Budget, join us at the Spring CE Summits, taking place in Winnipeg (May 28), Calgary (May 29), Vancouver (May 30), and Toronto (June 4). Learn the details behind the March 19, 2019 federal budget provisions and how they affect investment, retirement and estate planning in 2019 and beyond.